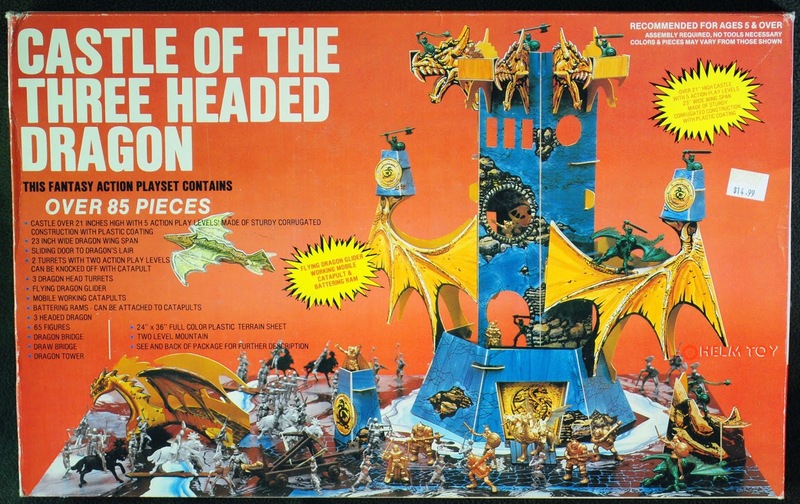 Very cool looking (but not very sturdy, I’m guessing) sets that followed in the wake of DFC’s popular Dragonriders of the Styx set and its many copycats. The pics are courtesy of Shaun Christensen’s definitive Fantasy Toy Soldiers blog, where you can see a lot more, including close-ups of the better than expected minis. 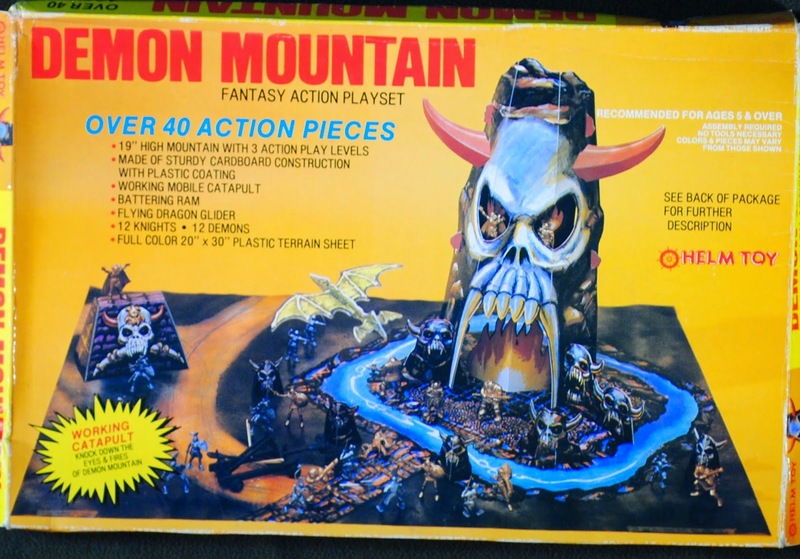 Dungeons & Dragons gave the traditional playset format one last push—players could use the sets as role-playing aids—before its final demise. Once I saw the picture I immediately thought of Shaun’s blog. I love that blog! The figures for these sets are actually quite awesome. I got some in a large DFC figures lot earlier this year, and a mislabled eBay lot last year. Thanks for sharing it!! Exactly! There are is so much stuff out there and Shaun does a great job sharing it with us! This kind of reminds me of a game I picked up at a garage sale years ago, “Tower of The Wizard King”. A pretty cool game, but unfortunately one that I let go quite a while back. It was pre-blog days too or I would have written about it. It does look like a neat game, Tom!